I'm still not completely convinced I could pull off harem pants. BUT, there are a ton of women out there who can. So this item is for them. 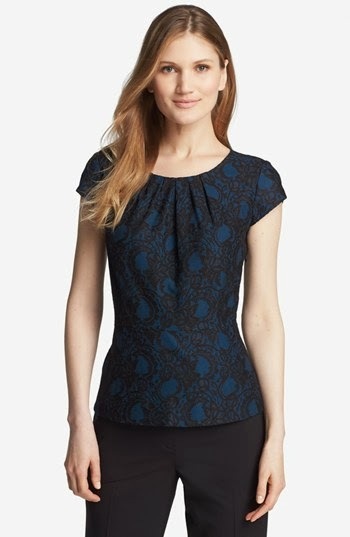 This top is $100 off right now. It's a beautifully crafted top that has all the makings of a piece that will be in your closet for years to come. I love this skirt because it's not your standard black pencil. It's got texture, structure, and print. Now we're talking. 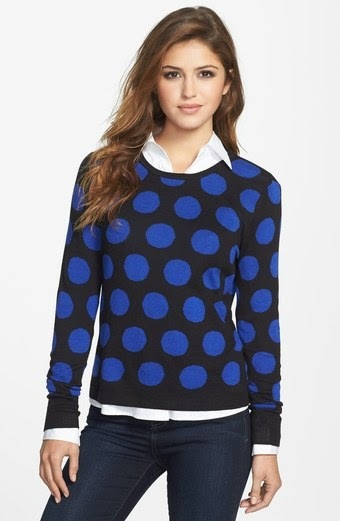 Layered up black and blue with some dots. This is a great outfit. Black and blue may not be in your fashion handbook but its here and I'm loving it. Try it with shoes, bags, or just layer up your items for color contrast. You Can Bet You Boucle!